Balustrades are a form of fencing that can often add the finishing touches to an area and when done well they can truly complement a space to leave a lasting impact. This is an area where FenceCorp has earned a great reputation. For high end, attractive balustrades that can bring another dimension to the environment in which they are placed. There are very few occasions where balustrade designs are the same as any other. 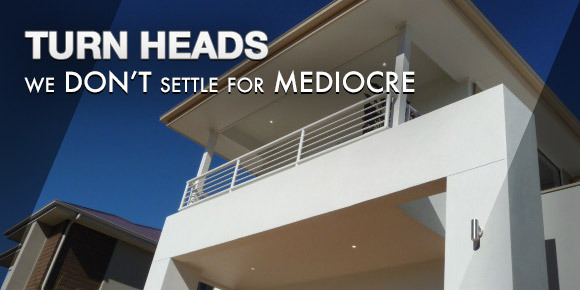 With the broad styles of homes and office types throughout Brisbane it takes the approach of an expert to be able to offer the right advice and create the exact look you are after from your balustrade addition. 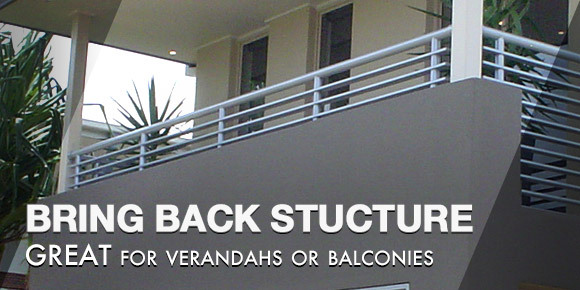 Our balustrade designs are used for patio areas, verandah areas, deck areas and balconies - that are a minimum one metre high. By law a balustrade is required when there is a drop of more than one metre off the ground. Aluminium Balustrades: Aluminium 50 x 50 top rails / 40 x 40 mid and bottom rails OR 60mm round with 19mm vertical round tube. Framed Glass Balustrades: Aluminium 50 x 50 top and bottom square rail / 40 x 40 intermediate posts - foot covers internal foot stakes using laminated 6.38 clear or toughened glass (glass fitted into horizontal rails with gaps at each panel). 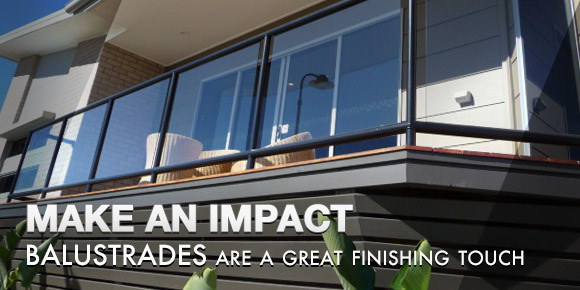 Our balustrade selection covers a wide range of styles and work beautifully with nearly all types of homes or business environments from classic Queenslanders to more modern contemporary establishments.